Vanessa stared up at the thatched trellis stretched a hundred feet over the grass, the structure fitted with a scatter of speakers and parceling the sky. She watched a distant jet cut a line over the grid as if zippering it shut. Orchestral music swelled from the pinkish glow of the amphitheater and stretched sonic tendrils throughout Millennium Park. She pinched her eyes tight to bat back the bittersweet tears conjured both by the symphony performing famous movie scores—at the moment in the midst of “Thus Spake Zarathustra”—and by the nagging knowledge that this would be their last Tuesday in the park, stretched out under the patchwork sky. Owen rested on a bent elbow next to her on top the spread quilt; she could see him there, knew exactly what he looked like at that moment, his eyes droopy with half-heartedly smuggled wine, tip of pink tongue licking at the corners of his mouth as he tended to do when sated, his face angular and hairless as Tommy’s—she knew this even when looking at nothing but the underside of her own lids. With the burp of Tupperware, she could see him scoop a dollop of black olive hummus onto another red pepper slice and he then tapped it against her lips, but she shook her head, not opening her eyes, and he plopped it in his own mouth and crunched. As the orchestra silenced, Vanessa heard the smattering of applause from the hundreds of other spectators lying on other blankets, or wedged into near legless lawn chairs, cradling plastic glasses of wine poured from bottles hidden away in picnic baskets or wrapped in towels. The sky had darkened slightly since she closed her eyes, taking on a hue of plum. With only a slice of skyline visible so close to Michigan Avenue, Vanessa already missed Chicago, the city where she’d spent the bulk of her 26 years. She’d cut her teeth sneaking, underage, into concerts and slinging countless drinks to hipsters and townies alike, had cheered for the Sox even though she preferred the friendly confines of Wrigley. She’d seen both parents buried there, the same city where she’d almost graduated high school and got all six of her tattoos, and where she fell wildly in love and became a mother and shoplifted from Macy’s and dropped acid twice. She glanced at Owen as the orchestra started back up with “Ride of the Valkyries,” a quick smile from him and then he stared at the illuminated shell of the amphitheatre. She’d hurt him earlier in the evening by refusing his overtures about a quickie courthouse marriage before their upcoming move to the hick-town of his birth. Earlier, during a dinner of Jewel Osco-bought sushi along the shore, and while Tommy tossed stones into the swells of Lake Michigan, Owen had brought it up again, promising to have and hold her forever, but even while he pleaded his case, while he pointed out how they’d lived together two years already and were in the eyes of God—if not the law—already wed, Vanessa let the words roll from her ears as though they were Scotchgarded from such talk, instead watching a seagull on a nearby pier struggle with a fishing lure lodged into its beak. 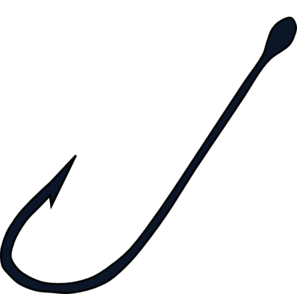 A long, shimmering double-hooked lure, the other hook sunk into its upper wing, so the gull’s head had been cranked around to its backside, unable to look anywhere but behind. Vanessa had wished she could take the bird and pluck the lure from beak and wing, feed it the last piece of her spicy salmon tempura roll, and as Owen poured out his heart and spoke of how in his tiny hometown their current living arrangement, without the legality and supposed sanctity of marriage, would be spurned, she watched the doomed gull, wondering if it could comprehend its predicament, whether within its reptilian brain flickered a shred of foresight into its plight. How it would starve or snap its own neck in the struggle to find release. And as she shook her head no, no she could not marry Owen though she loved him and would never leave him, she wished she could at least—to end its suffering—dash the bird’s skull against the rocks. Dakota Lewis loves Jesus but he stopped returning her calls. She can take a hint and has moved on to eating the body and drinking the blood of others.